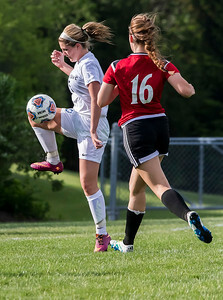 Sarah Nader - snader@shawmedia.com Cary-Grove's Madigan Baker controls the ball during the second half of Wednesday's IHSA Class 3A girls soccer Jacobs Regional against Grant in Algonquin May 17, 2017. 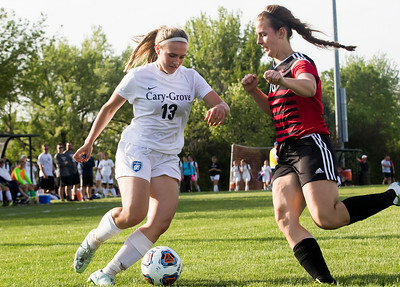 Cary-Grove won, 7-0. 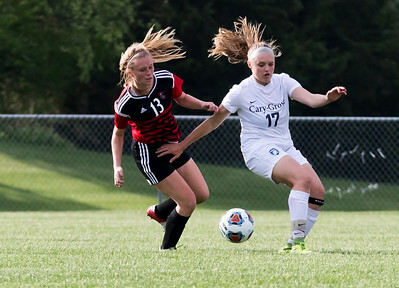 Sarah Nader - snader@shawmedia.com Cary-Grove's Mollie Immens (left) is chased by Grant's Sophia Richards during the second half of Wednesday's IHSA Class 3A girls soccer Jacobs Regional in Algonquin May 17, 2017. Cary-Grove won, 7-0. 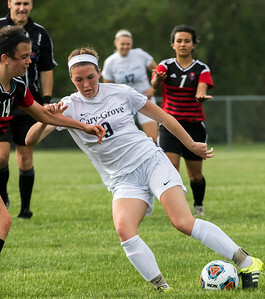 Sarah Nader - snader@shawmedia.com Cary-Grove's Sofie Immens (right) takes control of the ball during the second half of Wednesday's IHSA Class 3A girls soccer Jacobs Regional against Grant in Algonquin May 17, 2017. Cary-Grove won, 7-0. Sarah Nader - snader@shawmedia.com Cary-Grove's Teagan Jones dribbles towards the goal during the second half of Wednesday's IHSA Class 3A girls soccer Jacobs Regional against Grant in Algonquin May 17, 2017. Cary-Grove won, 7-0. 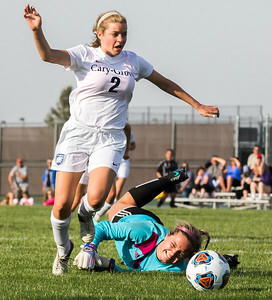 Sarah Nader - snader@shawmedia.com Cary-Grove's Natalie Gallant scores a goal while Garant's goalkeeper Lexi Werve dives for the ball during the second half of Wednesday's IHSA Class 3A girls soccer Jacobs Regional in Algonquin May 17, 2017. Cary-Grove won, 7-0.